A first visit to Lagos in 2016, Finland’s Benedek Olah returned home with a career first ITTF World Tour Men’s Singles title; however one year ago it was a quarter-final exit, he was beaten by Hungary’s Marton Szita. 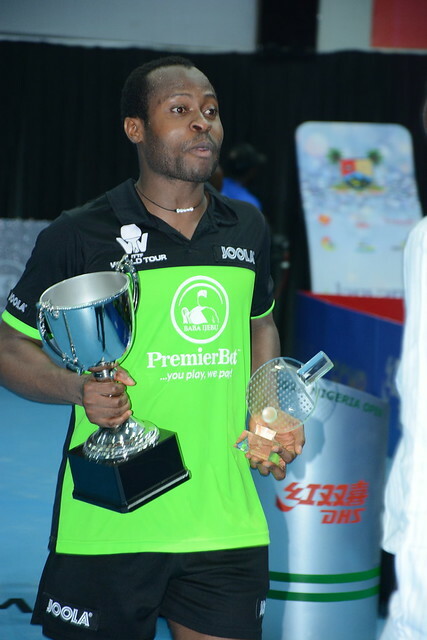 Now once again the 27 year old is on duty, his name appears on the entry list for the forthcoming 2018 ITTF Challenge Seamaster Nigeria Open; proceedings commence with the qualification tournament on Wednesday 8th August. Two visits to the country’s capital city, Benedek Olah now looks forward to third. A major strength extolled by Benedek Olah is his backhand, especially in Europe, there are very few players who are better in that skill. Undoubtedly, Finland’s leading player is ready for the task ahead, a tournament that is one of the first to be etched on his calendar. Currently in the Men’s Singles event, Benedek Olah is the no.3 seed behind Nigeria’s Quadri Aruna and Russia’s Alexey Liventsov; in the Men’s Doubles he partners Hungary’s Tamas Lakatos.